Consistent ball flight and spin. Disappointing feel off the face, very firm and sounded hollow. 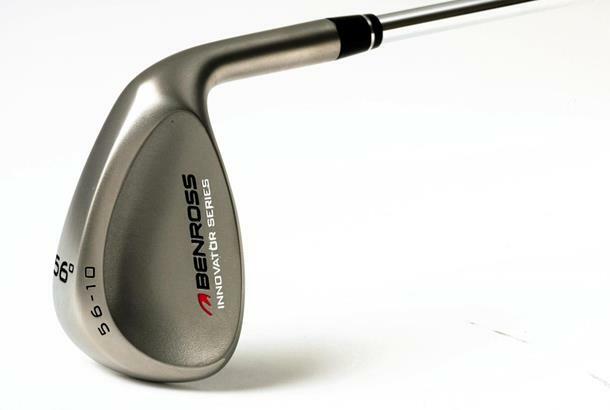 For a budget-priced wedge, the Benross Innovator was really consistent in terms of ball flight and spin, and certainly had the stylish finish of some of its higher-priced competitors. However, it sat very upright and the large clubhead looked a little cumbersome behind the ball. Our pro was disappointed with the feel off the face, which was very firm and sounded hollow. Performance was great from the sweetspot, but felt poor on mishits – odd, considering the design moved material from the centre of the head to ensure better feedback on off-centre hits.